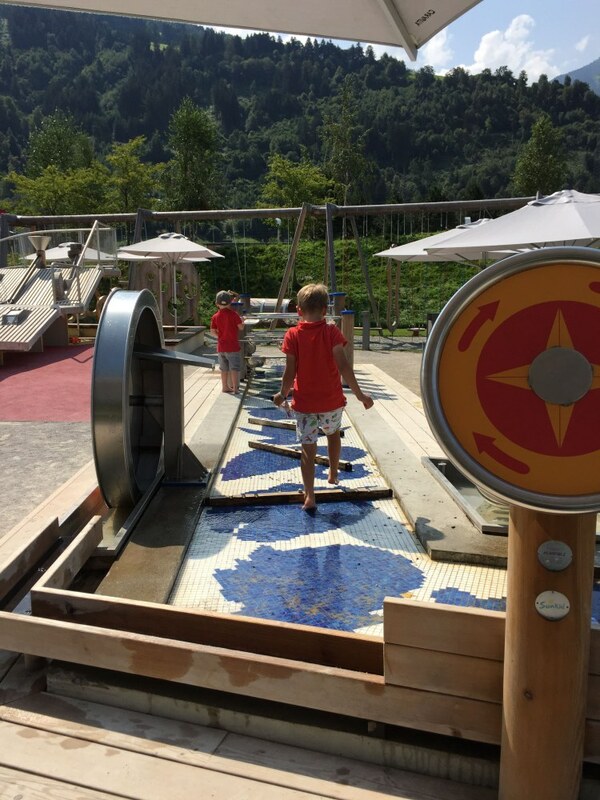 If you are traveling with kids to Innsbruck, Austria you do not want to miss the outdoor Swarovski Kristallwelten play area. 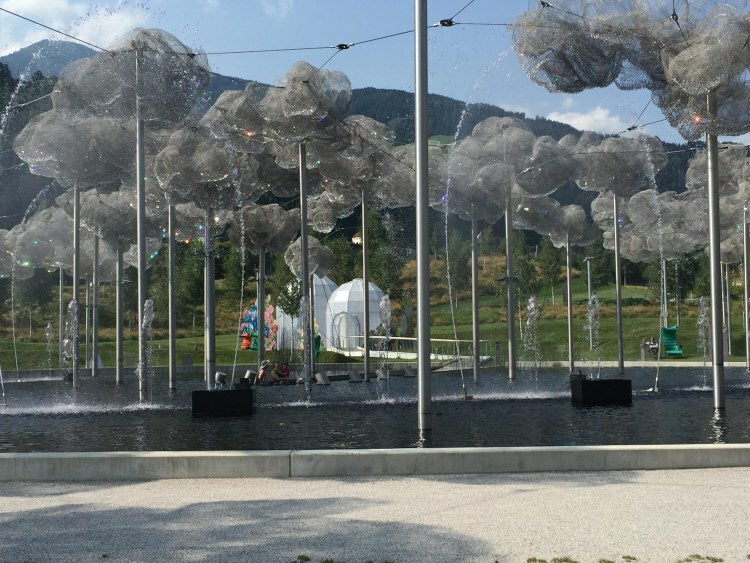 We spent the better part of a day at Swarovski Kristallwelten visiting both the indoor and outdoor exhibitions. 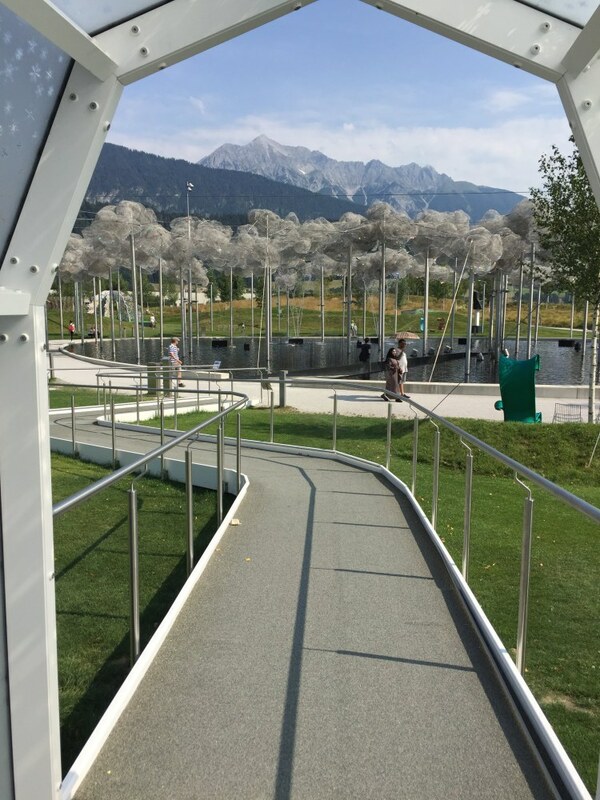 It is well worth your time to visit, but if you don’t have a full day to dedicate just visit the outdoor playgrounds. 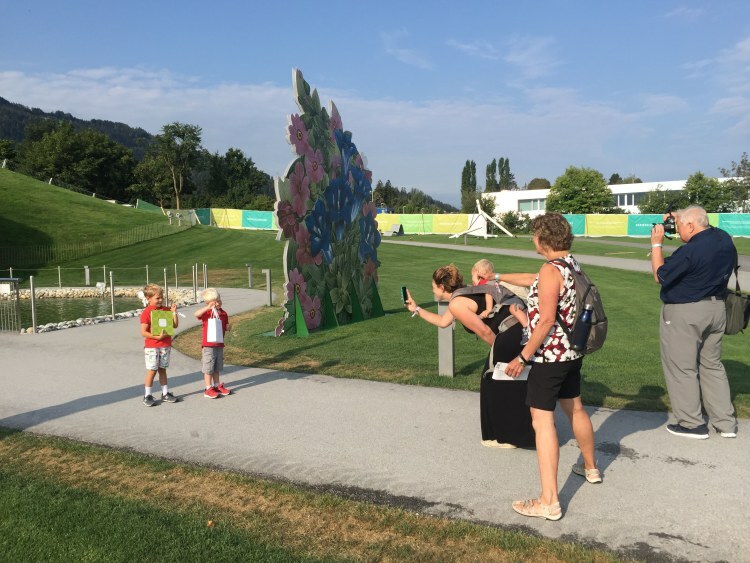 You can access the gift shop, which is free to visit, from the outdoor area if you want to see more crystal structures. The outdoor area is overwhelming and extended further than we expected. It combines a variety of attractions, so everyone is sure to find something fun to do. Our only issue was being outside in the record heat wave. We all just got too hot and ended up leaving to find some relief at a mountain swimming pool. The fountain shows were a highlight of our visit. The boys used controls to change how fast some of the fountains moved between shows. 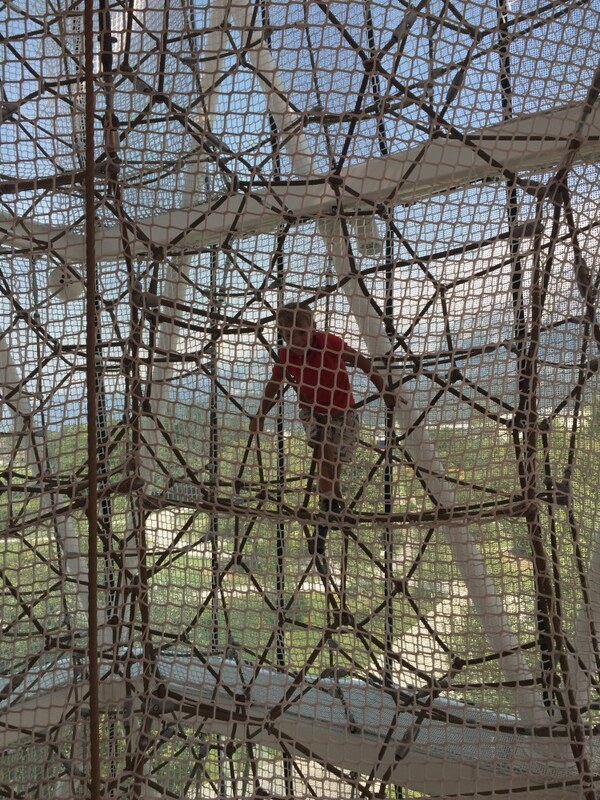 There are many different vantage points for watching, so the kids can run around and try out a few. There is also fun, inviting seating everywhere. 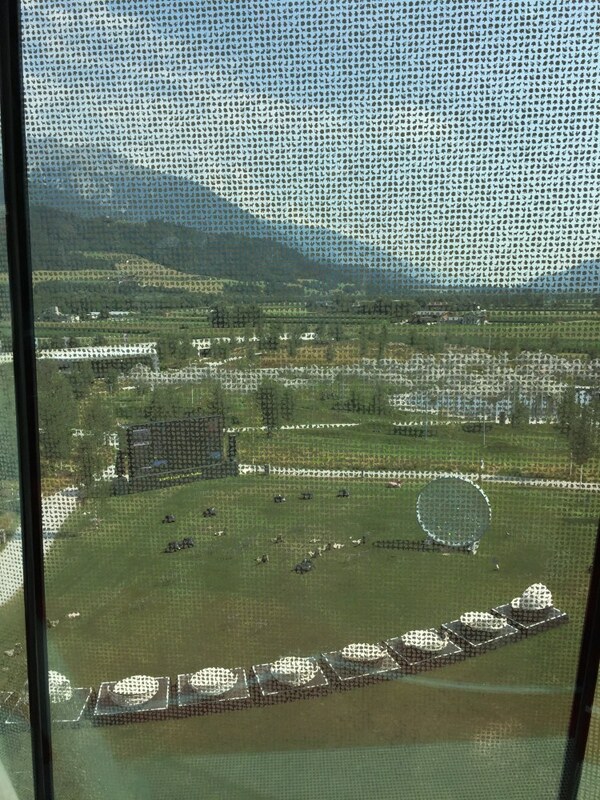 We stayed for several shows, watching from shaded chairs, and even from a cut-out that puts visitors at water level. The first thing you will notice is the crystal clouds. 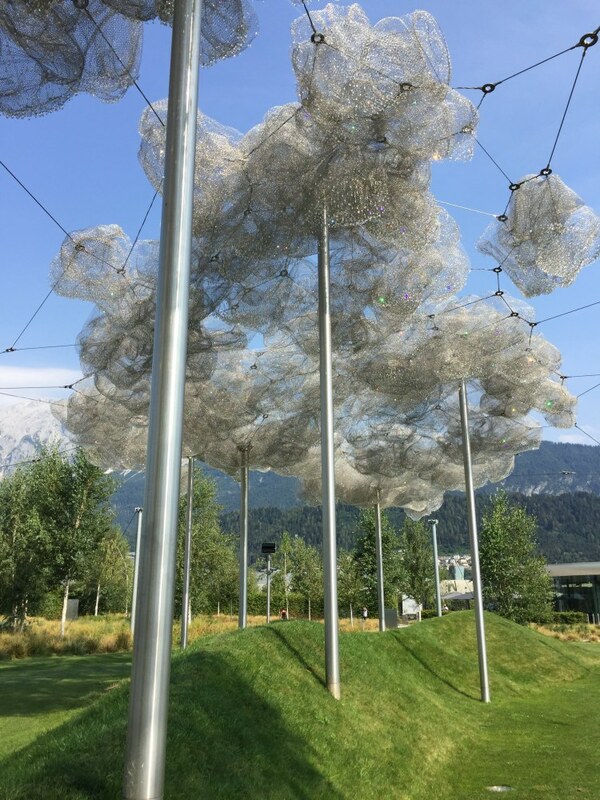 This piece of art changes color and sparkles as the sun and clouds cast their light on it. The hills below it are fun for the kids to run with reckless abandon. 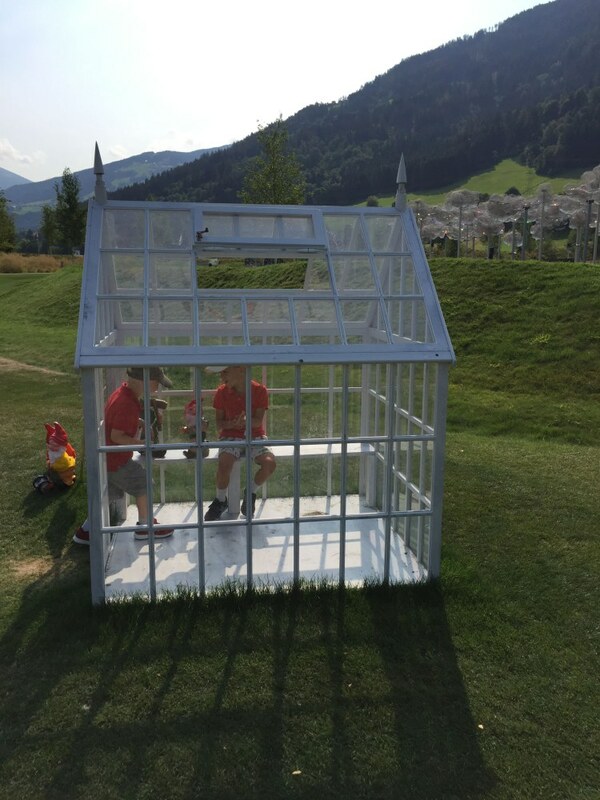 Small glass playhouses are a whimsical addition to the landscape. 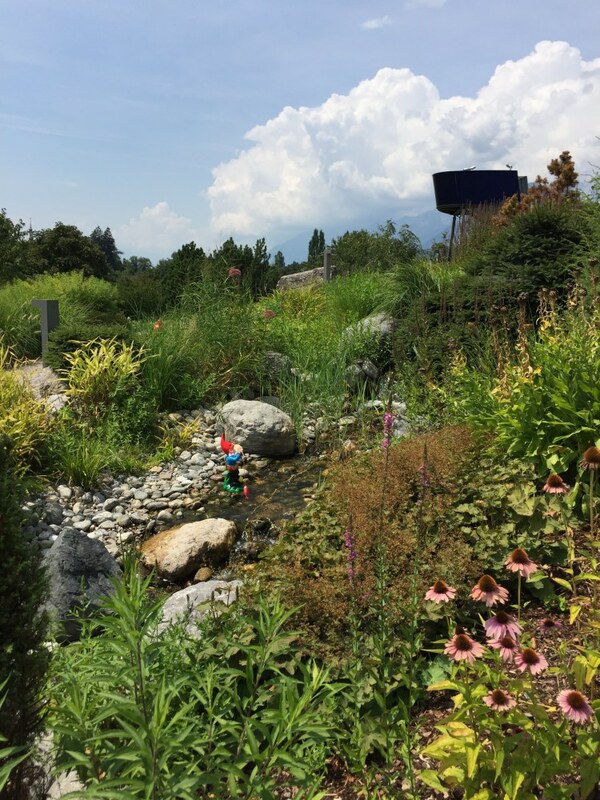 The boys enjoyed finding the gnomes that are hidden all around the property. 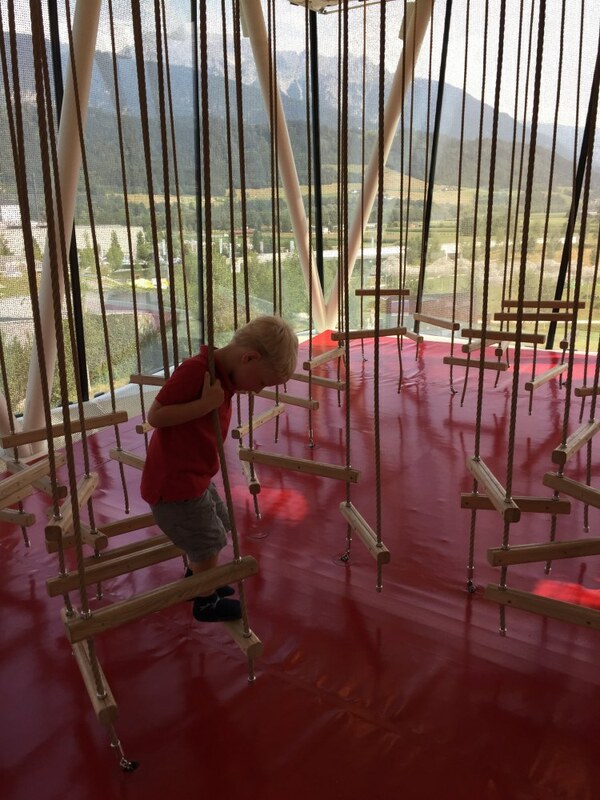 The large play structure though is not to be missed. You check in at the bottom and trade your shoes for special socks and then you are on your way. Each floor of the building has a different challenge or activity. On the incredibly hot day we visited the play structure was steamy, but we still could not pull the kids out of there. The Big and Middle could easily play alone in here, but we accompanied the Little Little in to play. I enjoyed the view of the garden down below. I wish that they had something playing on this giant screen during the day. There were signs for movie nights but I would have loved to have seen even advertisements for other options around the city or a little video about Swarovski. 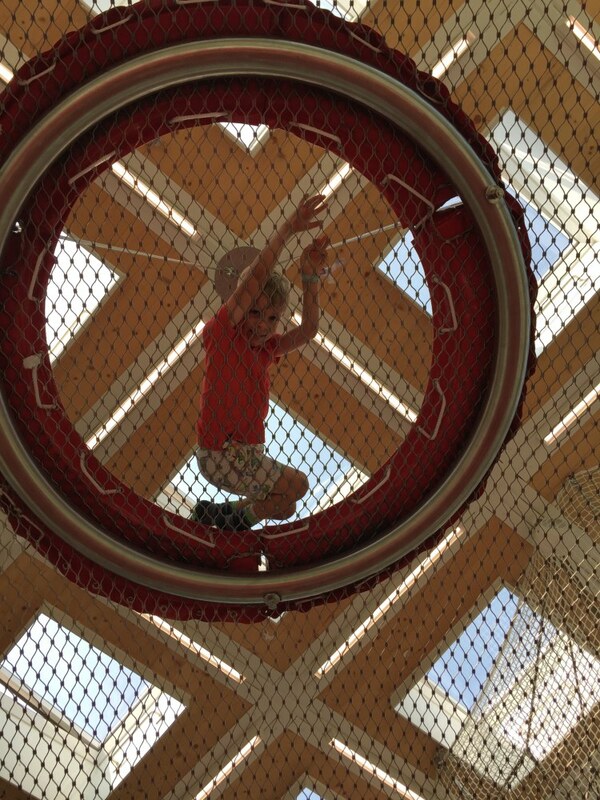 This play tower was epic fun and not to be missed. Behind the play tower there is even more fun to be enjoyed. 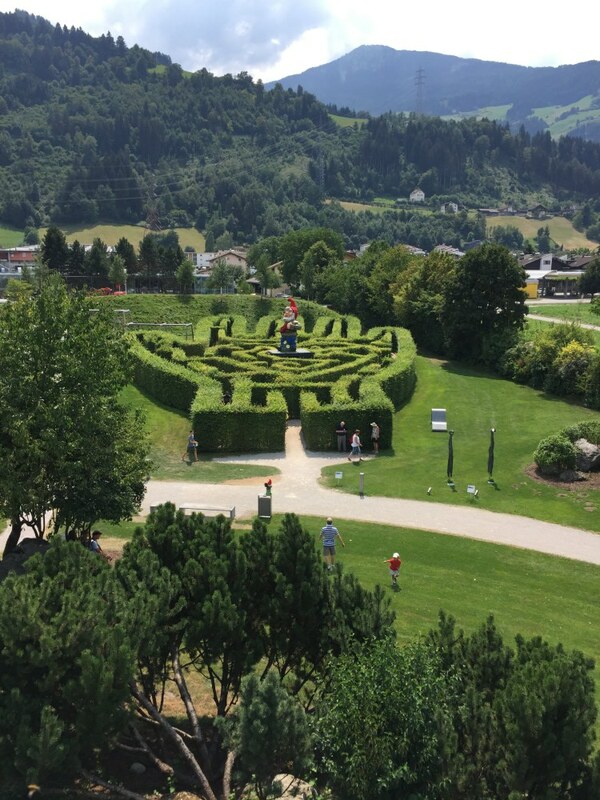 A labyrinth shaped like a hand was small enough to let the kids explore on their own but still hard enough to take us all some time to complete. 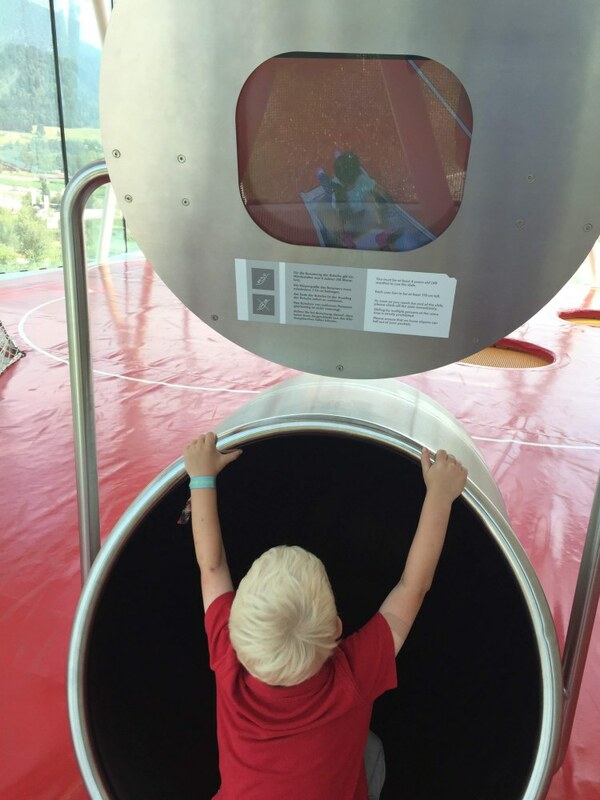 You can climb up the back of the giant, which is full of beautiful wildlife and stunning views. 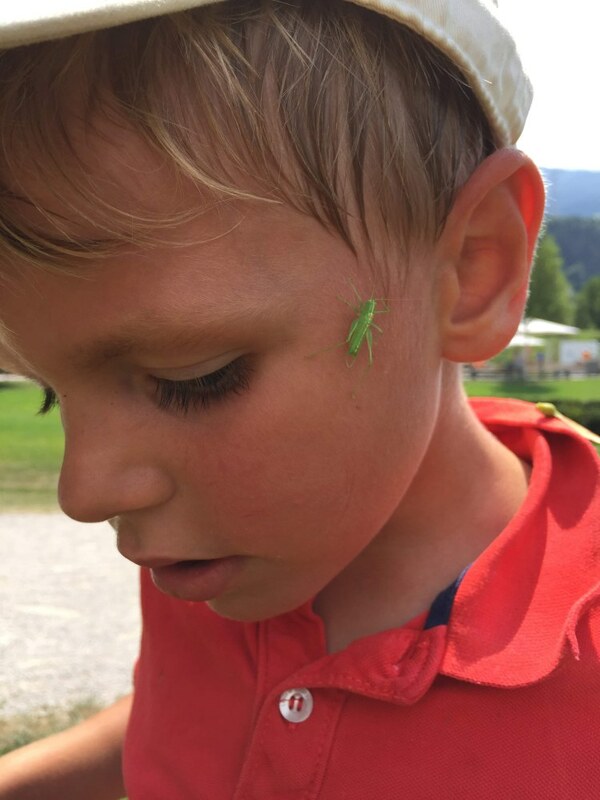 The Big Little even made a new friend. 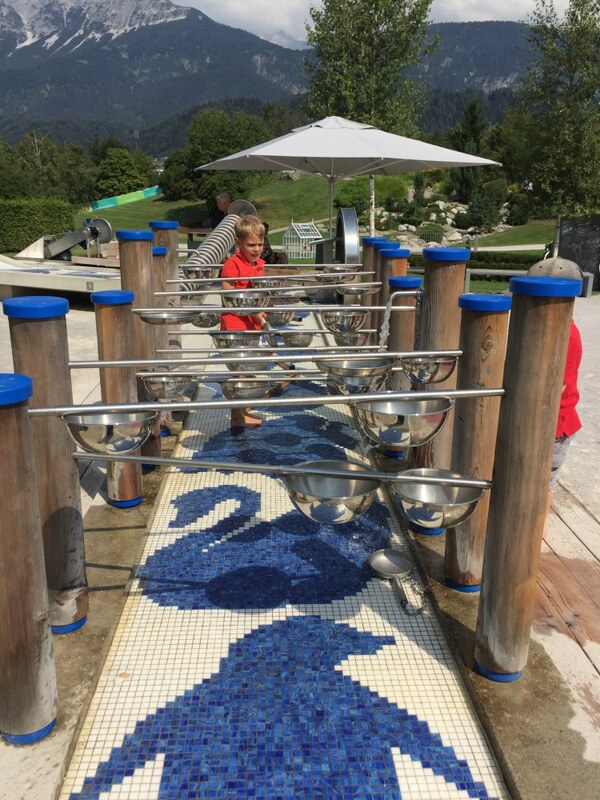 The outdoor play area had a great water play area with lots of new play items we had not seen before. My only issue was how much work it took for me to get the water to them! I love when the kids have to pump it but this took so much work to get enough water for them to be able to play. I also really wish it was shaded – the sun was brutal. 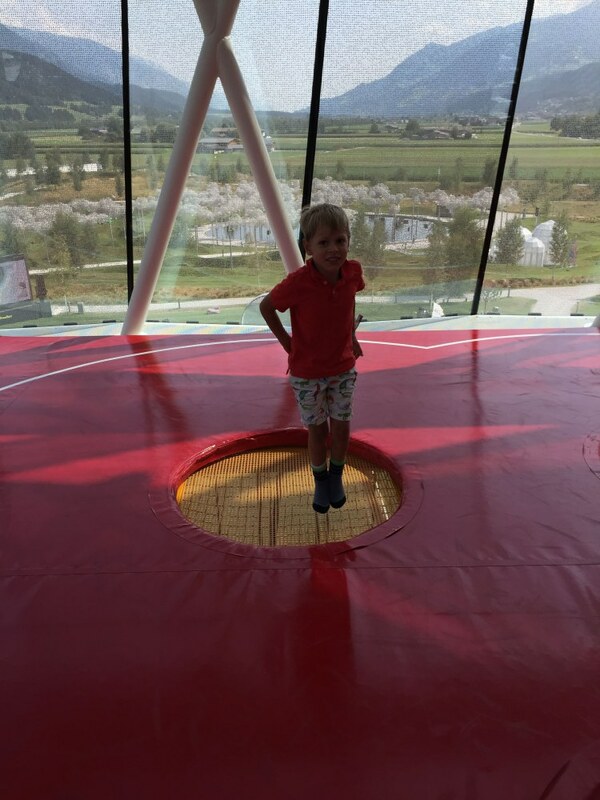 A €1 deposit gets you a wooden ball so kids can play on the wooden ball runs. These were so much fun! 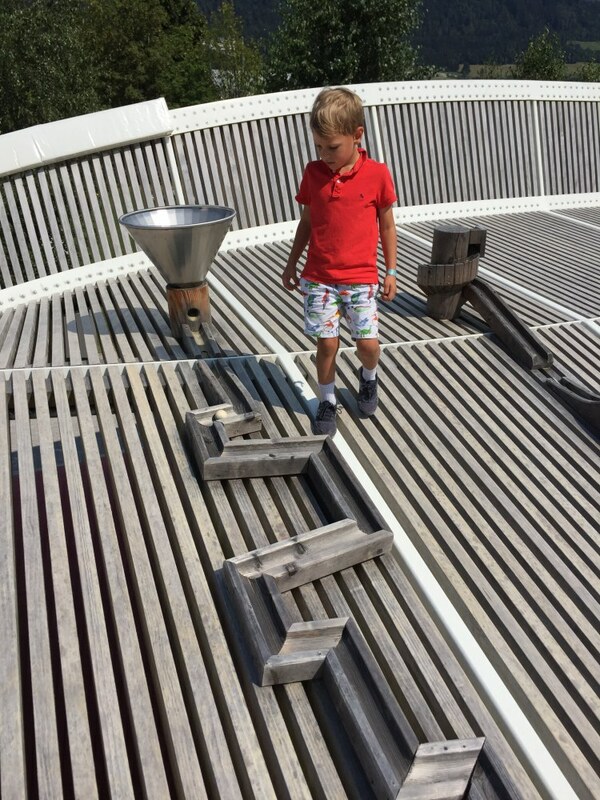 Each run featured different things like loops, jumps and sounds. 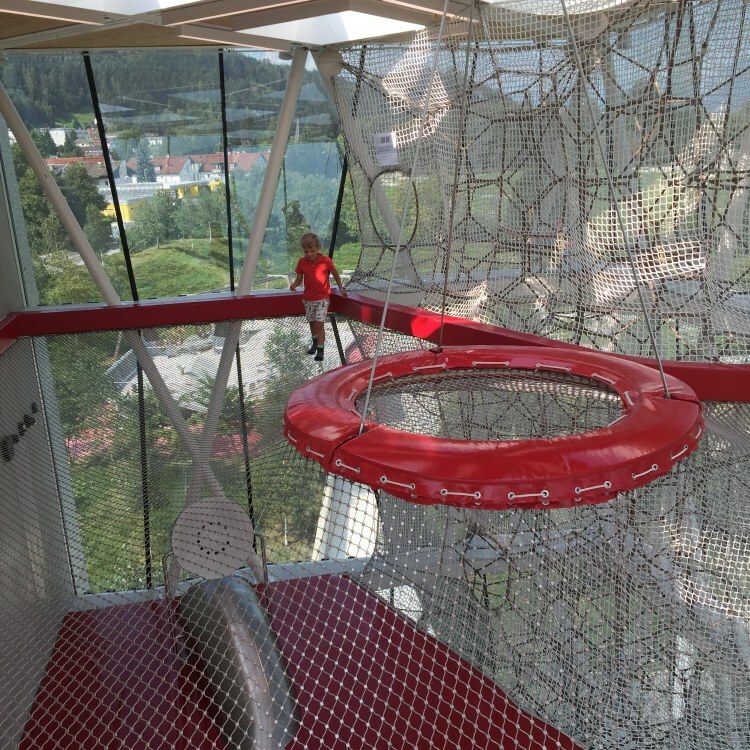 Like a large marble run the kids could use their balls to try them over and over. You can return the balls in the gift shop and get your deposit back or keep them as a souvenir. 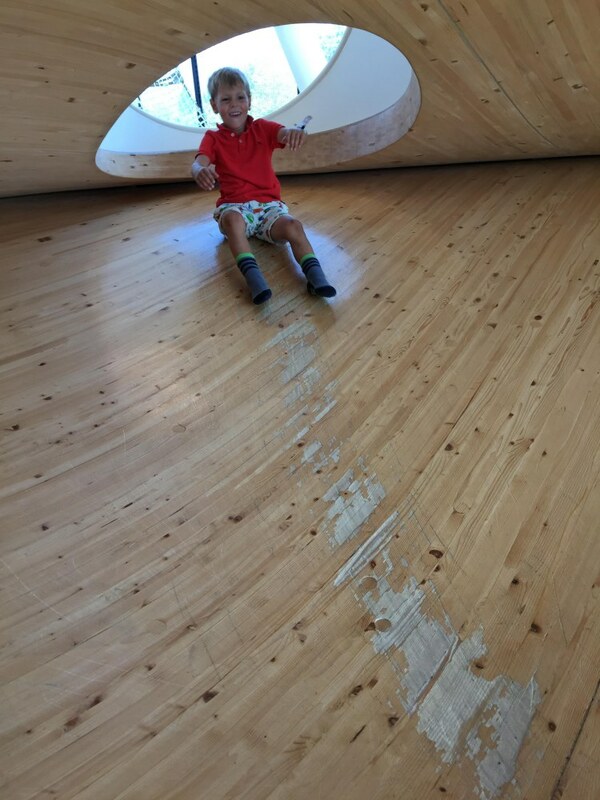 The ball runs sit on a wooden structure with integrated play areas. 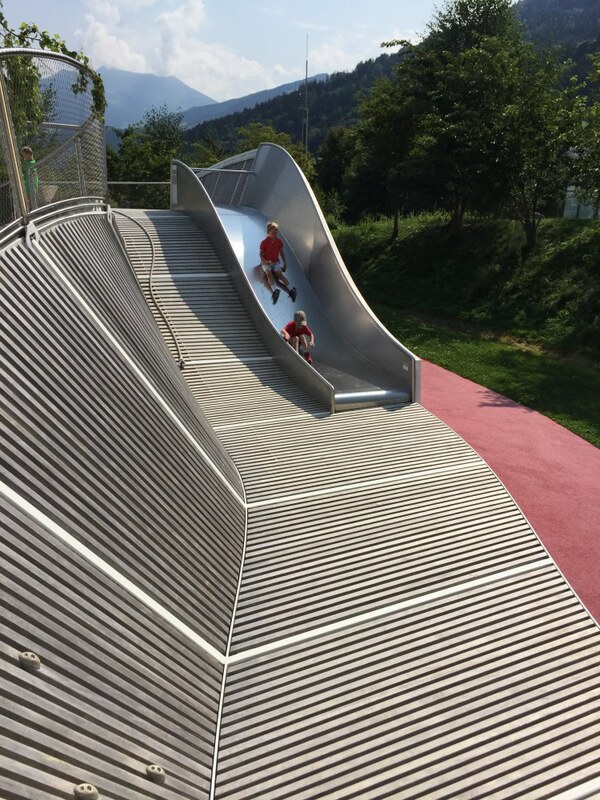 Slides and climbing walls are hidden throughout the structure. Again, the sun here was brutal so we could only play for so long before pulling the kids for water, shade and a sunscreen refresh. 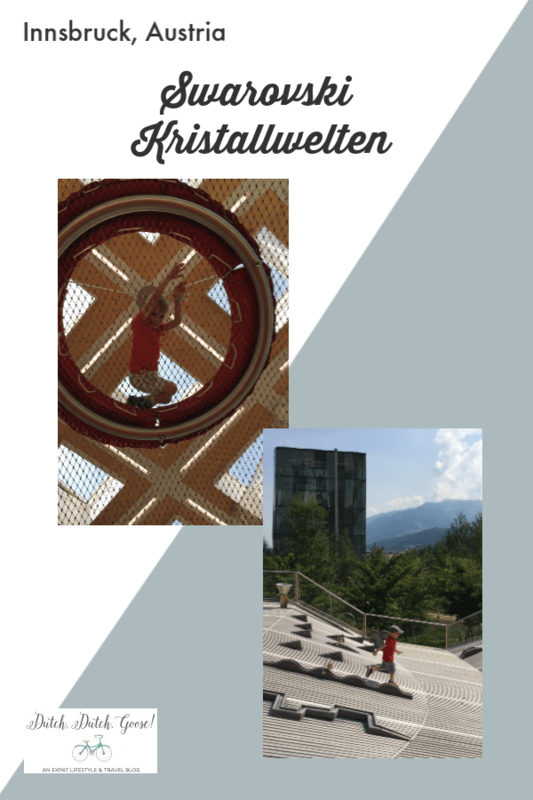 We loved every moment of our time at Swarovski Kristallwelten. 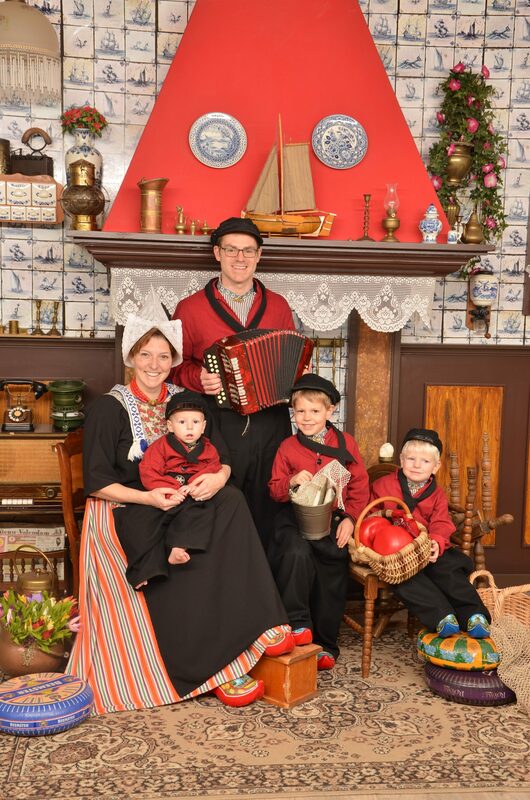 It was a lovely place to visit and a must if you’re visiting with kids. 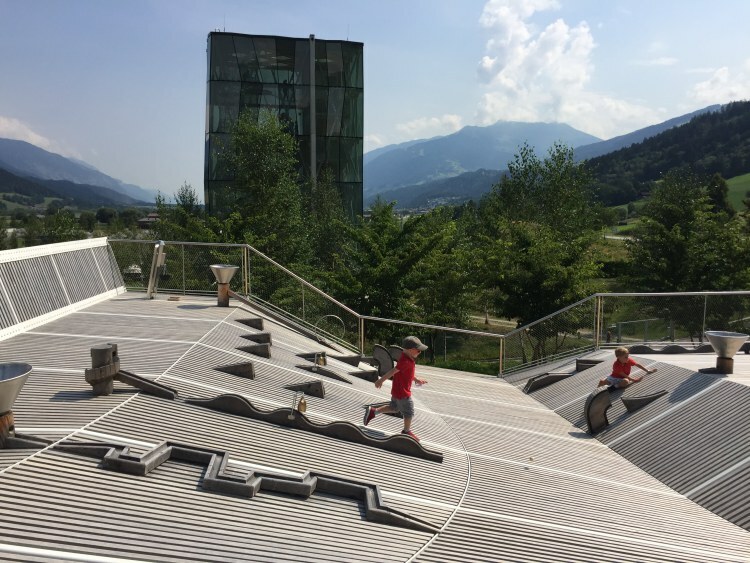 You certainly won’t find a playground like this anywhere else in the world.